He can be found in the revamped Upper Blackrock Spire 5-man dungeon for Warlords of Draenor. He drops a Lanticore Spawnling battle pet. I assume it is a 100% drop rate but you will have to roll against 4 other people. 4. Loot: In beta he didn't drop anything - they had yet to attach the pet to him. 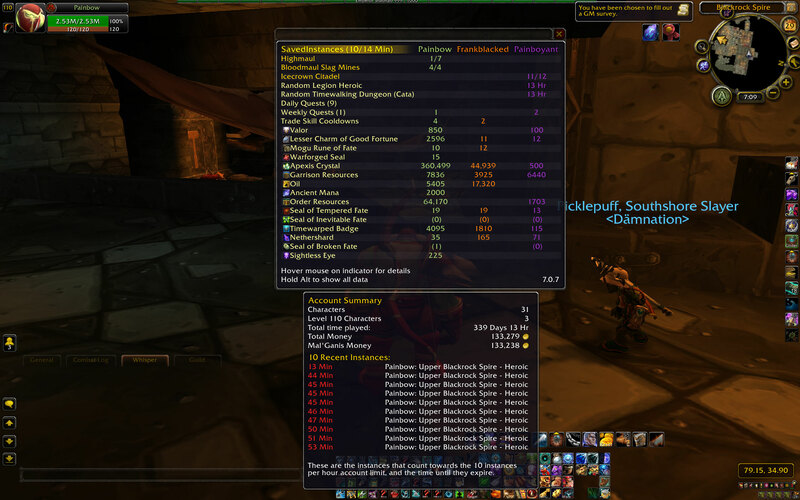 However, on live today he dropped X2Lanticore Spawnling in a party of 5 on personal loot. He can be found near Kyrak, who has taken up residence in the old Rookery, just after the first boss' room in Upper Blackrock Spire, which has been revamped for Warlords. The pet he drops, Lanticore Spawnling, teaches you Lanticore Spawnling, a battle pet that looks like Chimaeron. There seems to a bug with this pet at the moment. When you are using Magical Pet Biscuit you are throwing the cookie like piece into the air. As if the pet were 10 times larger than it looks. I can confirm that when he does spawn he is just to the right of Kyrak as you look at him, on the other side of pillar. He was there when I entered the room, before Kyrak was killed. This is the first time I saw him and he did drop the Lanticore Spawnling. I believe that if you are soloing this dungeon post-WoD the drop rate is 100%, when he finally spawns. Good luck.